GREAT SALE ITEM!! A must have!! 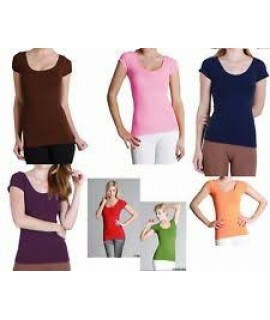 5 random colors of our best seller Plus sized Camisoles. Get it now .. Receive 5 pre-packed Plus Sized Tank Tops at the lowest price ever. 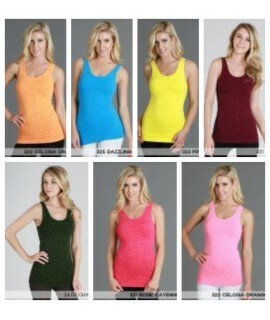 These seamless tank tops are one..
Sale, Sale, Sale!!! Receive 2 Cheetah Print Cap Sleeve Tops for the low price of $25. We ..
Sale, Sale, Sale!!! Receive 2 Cheetah Print 3/4 Sleeve Tops for the low price of $25. We ..
Amazing double fiber tops in the prints of Zebra, Leopard and Snake. You will receive one of each pr..
SUPER SALE ITEM!! Receive 3 random colors of the Nikibiki Burnout Tank Top. Great to give as gifts o..
SUPER SALE ITEM!! Receive 3 random colors of the Nikibiki Feather Print Tank Top. Great to give as g..
SUPER SALE ITEM!! Great for working out and wearing day to day. Get them now at the best price while..
MUST HAVE SALE ITEM!! Random 5 color packs of the great Nikibiki Cap Sleeve Tops. Don't miss out on ..